Bad laws and prosecutors who could care less about justice is not a problem confined to America. Bill Windsor hasn't seen many movies in the last year. Netflix and Red Box aren't available in jail. Bill just watched "Common." It's an exasperating movie about the law in England that's comparable to the felony murder rule in the U.S.
...Ryan Joseph Holle (born November 17, 1982) was convicted in 2004 of first-degree murder under the felony murder rule for lending his car to a friend. A murder was committed, and Ryan Holle's car was used for transportation to the scene of the crime. Ryan Holle was at home asleep in bed and knew nothing about the murder. But he was tried and convicted under the felony murder rule, and the bad law is that if you loan your car to someone and they commit murder, you are guilty of murder. Ryan Holle is now serving a sentence of life without the possibility of parole at the Graceville Correctional Facility in Florida. 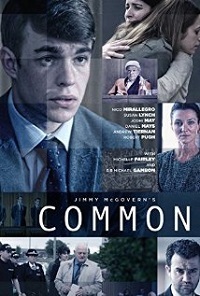 In the movie "Common," young Johnjo O'Shea drives his cousin Tony and two friends to a takeaway, unaware that they intend to beat up another youth. In the fracas one of the trio, psycho Kieran Gillespie, stabs to death innocent bystander, Thomas Hughes, and threatens Johnjo not to go to the police. However Johnjo voluntarily gives a statement to Detective Hastings but finds himself remanded in custody despite being guiltless of any crime. Under an ancient legal process known as Joint Enterprise that holds that any accomplice stands trial with the others, JohnJo was brought to trial. His lawyer puts up an excellent case for him, but the judge felt unable to oppose Joint Enterprise and, although only Gillespie gets life, the other boys are forced to plead guilty to GBH (Grievous Bodily Harm) and get five years. Their option was to take their chancves at trial and face the possibility of life in prison without the possibility of parole. Parallel to the O'Sheas' plight is the reaction of Thomas' estranged parents, especially his mother Margaret, who ultimately feels a kinship with Johnjo's mother after receiving a letter of apology from the boy. As the credits roll, parents whose children are victims of Joint Enterprise talk to the camera.